The more diverse and dispersed your supply chain grows, the harder it becomes to consistently manage quality, especially if you’re still depending on manual processes. 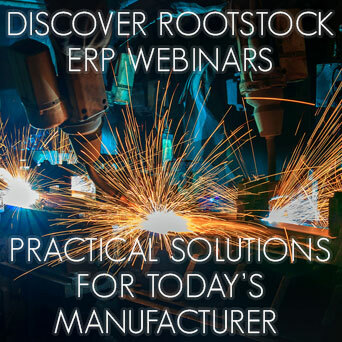 Watch “Practical Tips to Manage Manufacturing Quality Across Global Supply Chains,” part five of our “Discover Rootstock ERP” Webinar Series. You’ll get four big ideas from Rootstock’s David Bush and Nikki Willett, Chief Strategy Officer of ComplianceQuest – two industry pros with over 30 years of experience each – on how to get the best results from your supply chain. Fill out the form to watch "Discover Rootstock ERP: Practical Tips to Manage Manufacturing Quality Across Global Supply Chains"